At Your Service! Schedule Now! When it comes to HVAC unit cleaning there is no better team than the experts at Calabasas, CA! Our technicians check for defects and damage while cleaning your unit, as well as replacing clogged filters to prevent unwanted particles from contaminating the air inside your home. Specialist solvents and tools are needed when cleaning your HVAC unit. It’s vital to be aware of how to handle every component. It is very easy to cause accidental damage to your unit resulting in it malfunctioning. A unit running poorly can also go a long way towards increasing your energy consumption and end up costing more money. While regular HVAC unit cleaning is important, on its own, it’s not enough. You also need to find out the number of contaminants circulating inside your home. These issues, such as leaking air ducts, may not be readily visible which is why air quality testing inside the home is vital for your family’s health and safety. Should our team identify a high number of contaminants or dirt and dust particles, they will identify the source and search for potential culprits. Air quality testing is also an effective way to check on whether a HVAC unit needs further professional cleaning. All mechanical devices will at some time have issues and unfortunately, HVAC units are no different. However, should a problem arise you will need to solve it as quickly as you can and have your unit repaired by a well-trained professional. 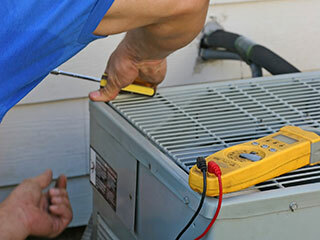 Our team fits the bill and can fix condensing unit, grill, and evaporator coil issues. What’s more, you can count on our technician to keep your home safe, clean, and energy efficient. To make the most of your HVAC unit, contact the professionals. Our local experts at Air Duct Cleaning Calabasas are ready and waiting to help you with all your needs; big and small. Contact us now!